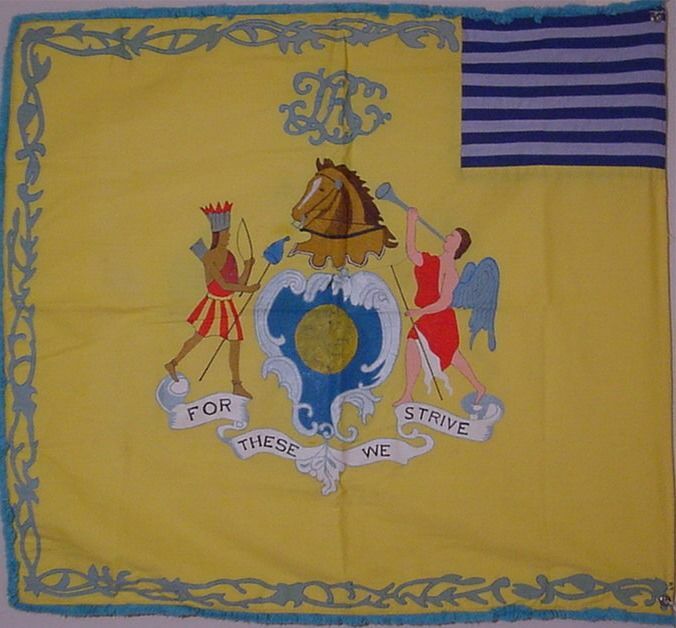 The flag of the First Troop, Philadelphia City Calvary is know as the Light Horse Flag. The orginal is preserved at the Philadelphia, PA Armory. 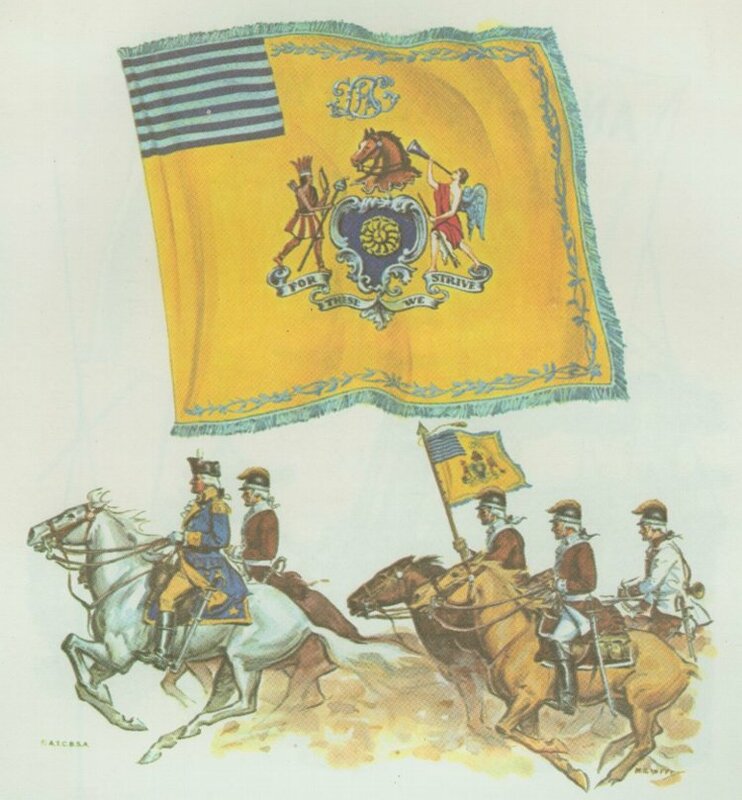 Captain Abraham Markoe in 1775 presented the original flag to the Philadelphia Troop of Light Horse, later known as the First Troop, Philadelphia City Cavalry. It is believed that Capt. Markoe, a Danish subject, designed the flag. He also formed and equipped the 28 man troop at his own expense in 1774. In June of 1775, the troop had the honor of escorting Gen. Washington from Philadelphia to New York on his way to Cambridge to take command of colonial troops assembled there. The troop carried the flag at the battles of Trenton, Princeton, Brandywine, and Germantown and later at Yorktown.